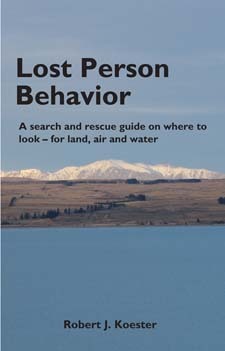 The Lost Person Behavior course has been taught to SAR professionals around the world and is currently used by several state agencies. Participants will attend the full Lost Person Behavior program, as well as receive in-dpeth instruction that goes above and beyond the actual course. 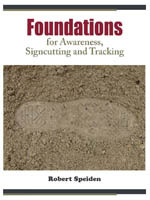 Participants will walk away with new practical knowledge, a license to instruct the course, and a wealth of material, including the Lost Person Behaviour Instructor's resource DVD, Lost Person Behavior Text, Instructor notes, practical workbook, and practical solutions. Not only will you learn in the classroom, but the contacts made will allow you to interact with your SAR peers around the world. FREE SAR Newsletter Sign up for SARNewsTM for the latest SAR news, events, products, articles, and links. 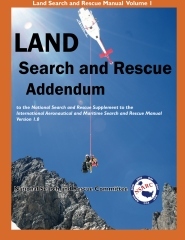 The Land SAR Addendum was created by the National Search and Rescue Committee (NSARC) to provide definitive standardized direction and information on search and rescue (SAR) in the land environment. This includes lost persons, missing vehicles, and missing aircraft. Federal SAR agencies must follow the addendum, all others need to know what it says. This addition also contains the National SAR Plan and Emergency Support Function #9, ESF-9. dbS Productions is well known in the Search & Rescue Community as the source of search and rescue research, publications, and training. It started with research in lost person behavior with particular emphasis on Alzheimer's disease and wandering. It provides cutting edge publications and training aids for law enforcement and search and rescue planners with the latest research. dbS Productions also publishes a wide assortment of search & rescue related materials and instructional courses. It also offers services in consulting, curriculum development, research, lectures, and expert witness services. Thank-you for visiting our web-page.